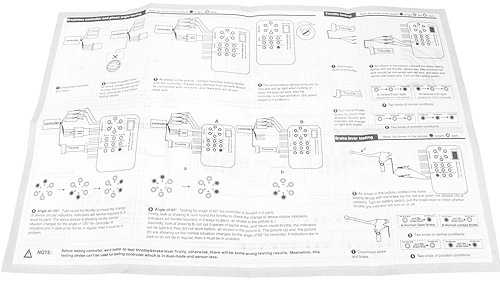 Specialty tools for maintaining and repairing electric scooters and bikes. This is a must have tool for diagnosing electric scooter and bike electrical problems. 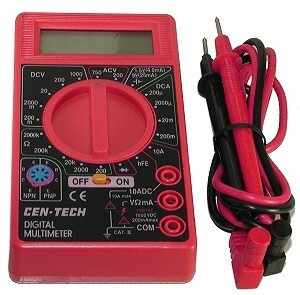 Designed for testing DC Voltage, DC current, AC voltage, resistance, transistor test, diode test, and continuity. Features easy-to-read LCD digital readout, large selector switch, and removable 24" test leads. Low battery indicator. Fuse protected. Ready to use. Includes 9 Volt battery. 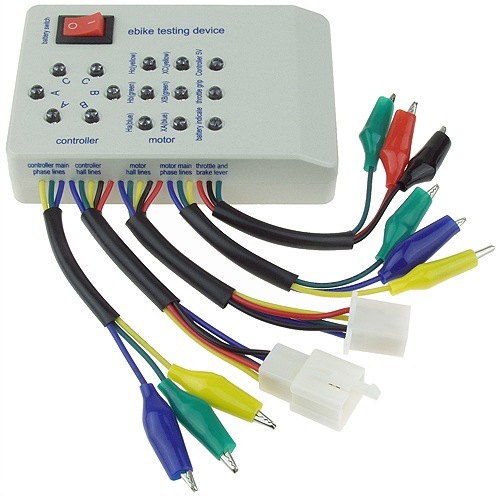 Easily and effectively test brushless DC (BLDC) motors, controllers, throttles, and brake levers with this all-in-one portable testing tool. Determine if brushless motors are good or faulty. Determines if brushless motor controllers are good or faulty. Determines if motor phase angle is 60 degrees or 120 degrees. Determines motor phase sequence. Determines if throttle is good or faulty. Determines if brake lever switch is good or faulty. Works with 24 Volt, 36 Volt, 48 Volt, and 60 Volt brushless motors and brushless motor controllers. 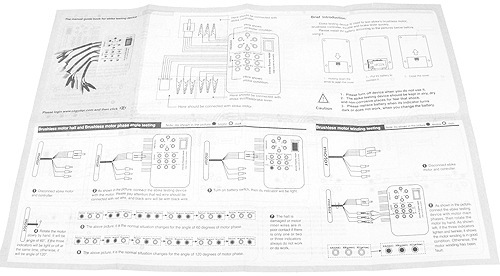 Includes new and improved easy to understand pictorial instruction manual and 9 Volt battery. 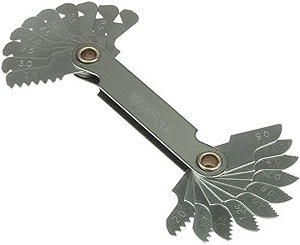 Bicycle chain tool for 1/2"x3/32" (#408) and 1/2"x1/8" (#410) chain. This tool presses link pins completely out of the chain for chain shortening or removal and presses link pins into press fit master link plates for chain installation. Designed for use with standard duty and heavy duty #25 chain only. Easy to use design. All steel construction with forged steel jaws and hardened steel press pin. Includes one extra press pin. Presses the link pin completely out of the chain. Chain breakers do not actually break the chain. They remove the pins that hold the chain links together. When two of the pins are removed the chain can be taken apart by hand. Works on #415, #420, #428, #520, #525, and #530 chain. Easy to use design. Heavy-duty all steel construction. Hardened steel press pin. Presses the link pin completely out of the chain. Works on #25 through #60 chain. Easy to use design. 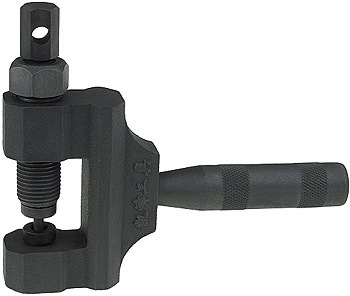 Drop-forged hardened steel jaws. Hardened steel breaker tip. Includes extra replacement tip with mounting adhesive. High quality professional grade tool. 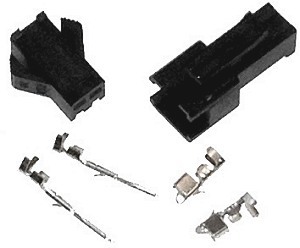 Made in U.S.A.
Set of three connector terminal extraction tools. Made from hardened high-strength steel for long service life. New and improved soft plastic dipped handles for improved grip. 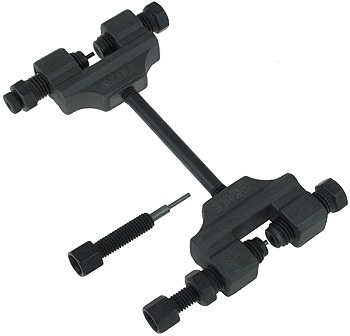 The extraction tool on the left side of the photo is the one used to extract the 2.8mm and 6.3mm terminals sold on our white wire connectors page. The two other tools are for extracting connector terminals with two locking tabs. 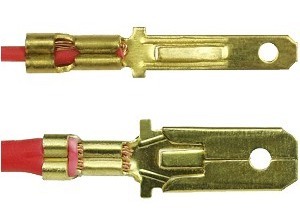 Compatible with insulated crimp connectors. 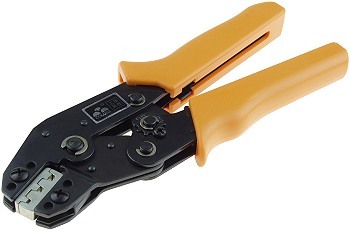 For crimping 2.8mm through 6.3mm wide non-insulated terminals. For use with 26 through 14 gauge wire. Heavy-duty layered and riveted steel-plate construction. Electroplated hardened carbon steel jaws for easy terminal release. Ratcheting mechanism locks crimper shut until it has been fully engaged for precise and uniform crimps every time. Adjustable crimping compression. 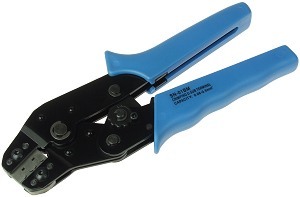 This is a high quality production crimping tool which consistently makes reliable and professional quality crimps. Compatible with our 2.8mm and 6.3mm white wire connectors and CNX-05F and CNX-05M tab terminal connectors. For crimping 6.3mm through 7.8mm wide non-insulated terminals. For use with 16 through 10 gauge wire. Heavy-duty layered and riveted steel-plate construction. Electroplated hardened carbon steel jaws for easy terminal release. 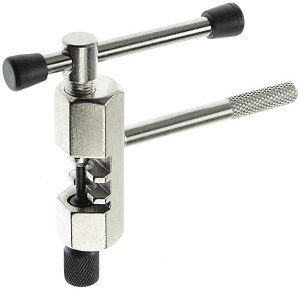 Ratcheting mechanism locks crimper shut until it has been fully engaged for precise and uniform crimps every time. Adjustable crimping compression. 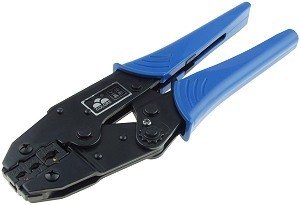 This is a high quality production crimping tool which consistently makes reliable and professional quality crimps. Compatible with our 6.3mm white wire connectors and CNX-06F and CNX-06M tab terminal connectors. 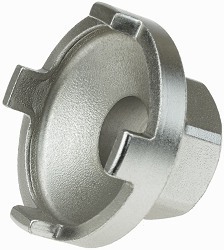 Designed for crimping black wire connector terminals. Heavy-duty layered and riveted steel-plate construction. Ratcheting mechanism locks crimper shut until it has been fully engaged for precise and uniform crimps every time. Hardened steel jaws. Adjustable crimping compression. 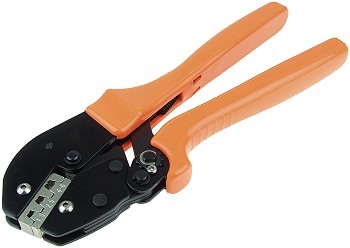 This is a high quality production crimping tool which makes reliable and professional quality crimps. Compatible with our small black wire connectors. Freewheel removal and installation tool for 4-notch freewheels. Works with our freewheel item # FWM-120. This is a professional quality nickel plated forged steel tool. Designed to help remove and install standard air filled and airless flat-free electric scooter and bicycle tires. Made in U.S.A.
Chain cleaning brush for scooters, bikes, motorcycles, and go karts. Stiff nylon bristles. The 3-head brush has a 1/2" spacing between its opposing bristles. Full size handle for easy cleaning. Overall length of brush is 10 inches. 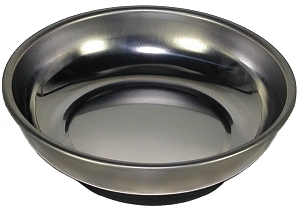 Heavy-duty polished stainless steel tray. Super strong rubber covered magnet on bottom of tray sticks to any metal surface at any angle and hold nuts, bolts, and tools firmly onto the tray - even upside down. Holds nuts, bolts, screws, washers, clamps, connectors, tools, and many other small fastening and wiring components. 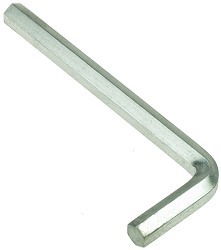 5mm Allen wrench. This type of wrench is also called a hex wrench. 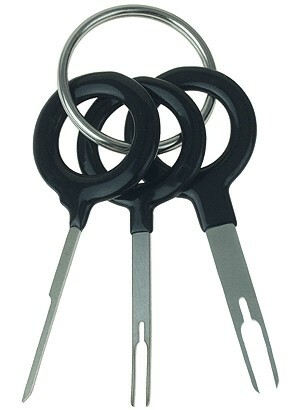 Made from nickel-plated hardened steel. The overall dimensions of this wrench are 2-5/8" long x 1' wide x 5mm thick. 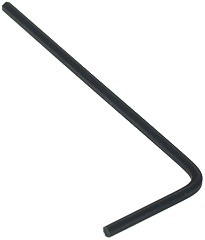 1.5mm Allen wrench. This type of wrench is also called a hex wrench. Made from black oxide coated hardened steel. 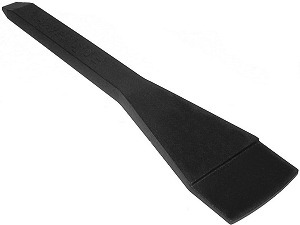 The overall dimensions of this wrench are 2-5/8" long x 1' wide x 1.5mm thick. 13mm open end wrench. Made from 1/8" thick nickel electroplated steel. The overall dimensions of this wrench are 4-3/4" long x 1' wide x 1/8" thick.